Have you read 50 Shades of Grey? If you know the book inside out then take our 50 Shades of Grey Quiz and see whether you know everything! One of the most exciting books of last year, 50 Shades of Grey went up like a storm! See if you know all there is to know about 50 Shades of Grey. See if you know everything about 50 Shades of Grey with our 50 Shades of Grey Quiz! Good Luck! What is the name of Christian Grey´s Helicopter? How many siblings does Ana have? What was Ana´s favourite drink? What was the name of Ana´s mother? What is the full name of the author? What place do Christian and Ana meet for the second time? What day is Christian Grey´s birthday? 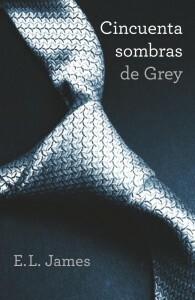 What is the name of Christian Grey´s company? How old was Christian Grey when he took over the business?